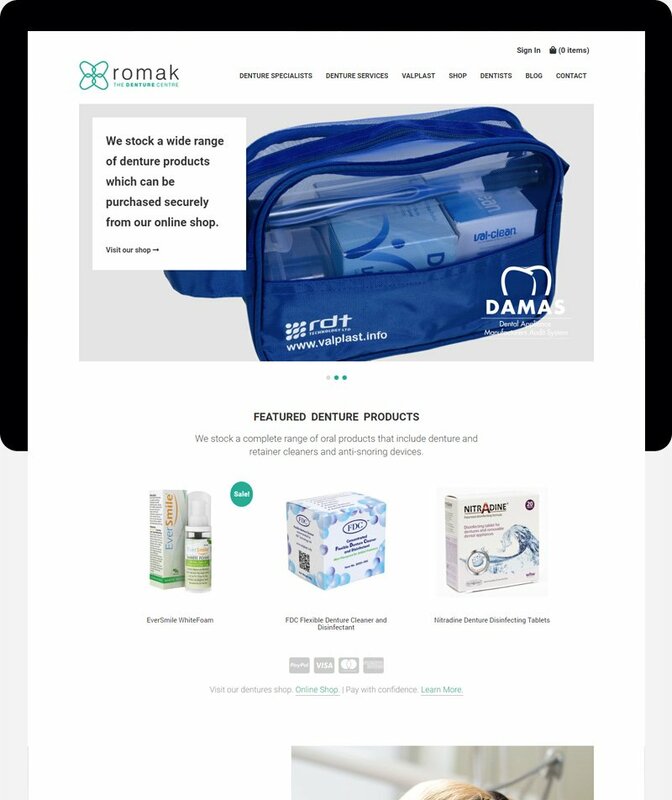 Romak are denture experts based in Swansea specialising in denture manufacture and repair and denture product online sales. 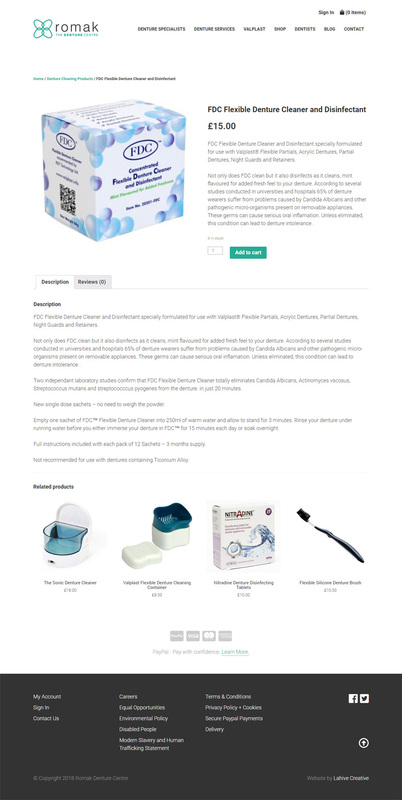 The homepage immediately focuses the user’s attention on the online shop with the call to action hero image and featured denture products below. The page also features information for dentists as well as a short introductory video about the company. Inside pages feature information about denture services and products. The online shop is powered by Woocommerce the open source ecommerce platform which is perfect for small online merchants. Credit card payments are taken through the Paypal payment gateway.